Pakistan Foreign Minister Shah Mehmood Qureshi made an "urgent" phone call to his Chinese counterpart Wang Yi to update him about the tensions between Pakistan and India, Chinese Foreign Ministry said on Thursday. During the phone call, Wang briefed Qureshi on China's efforts to promote peace talks and reiterated his hope that Pakistan and India would exercise restraint and "earnestly fulfil" their commitment to prevent the escalation of the situation, the Chinese Foreign Ministry said in a statement. Qureshi's phone call came as tensions between India and Pakistan rose Wednesday after Pakistan claimed it shot down two Indian fighter jets over Pakistani air space and arrested a pilot in response to Indian counter-terrorism in Balakot. 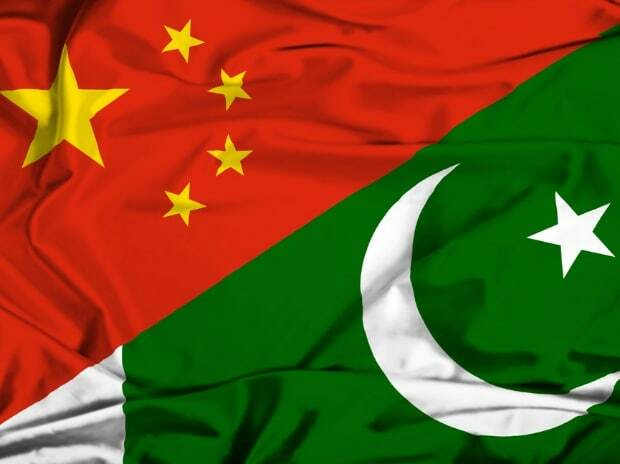 "Late at night on February 27, 2019, Pakistani foreign minister Shah Mehmood Qureshi made an urgent call to State Councillor and Foreign Minister Wang Yi to update him on the situation between Pakistan and India," the Chinese Foreign Ministry said. Qureshi made the phone call after Wang held extensive talks with External Affairs Minister Sushma Swaraj on Wednesday on the sidelines of the Russia, India, China (RIC) Foreign Ministers meeting in the Chinese city of Wuzhen. Swaraj forcefully raised the terror strike issue with her Chinese counterpart and said the Pulwama attack is the direct result of the "impunity and cover" provided to the Jaish-e-Muhammed terror group by Pakistan. Swaraj's meeting with Wang came a day after India destroyed a major Jaish-e-Muhammed (JeM) terror training camp in Pakistan. China, a close ally of Pakistan has repeatedly foiled India's attempts to brand JeM chief Masood Azhar as a global terrorist by the UN. The JeM, founded by Azhar, has already been in the UN's list of banned terror outfits. Wang told Qureshi that China will continue to play a "constructive role" in easing the current tension. He expressed deep concern over the escalation of tension between Pakistan and India and briefed Qureshi on China's efforts to promote peace talks and reiterated his hope that Pakistan and India would exercise restraint and earnestly fulfil their commitment to prevent the escalation of the situation, the statement said. Wang also stressed that the sovereignty and territorial integrity of all countries should be truly respected. China does not want to see any behaviour that goes against the norms governing international relations," it said. At the RIC Ministers meeting, India won the support of China and Russia in the fight against terrorism as China and Russia agreed to step up policy coordination. Briefing the media after the RIC Ministers talks, Wang said, We agreed to jointly combat all forms terrorism through closer policy coordination and practical cooperation. Especially important is to eradicate the breeding grounds of terrorism and extremism." But at the same Wang tried to cautiously tread a fine line, highlighting that Pakistan, which is its close ally, is also opposed to terrorism. China, Russia and India have reaffirmed our strong opposition to terrorism in various forms and manifestations. At the same time, we believe that Pakistan has always been opposed to terrorism," he said at the joint press conference with Swaraj and Russian Foreign Minister Sergei Lavrov. Elaborating on China's stand, Wang said, "on the recent developments between India and Pakistan, China appreciates the statements from Indian and Pakistani friends saying that they will exercise and avoid escalation of the situation." He said China for its part is playing a "constructive role as a mutual friend." As a mutual friend to both India and Pakistan, we do hope that they can conduct dialogue to establish facts through investigation to keep things under control, maintain peace and stability in the region. In this process, China is playing a constructive role not the opposite," he said.